A teenage boy is standing in the middle of a deserted road in the middle of the day in the middle of a semi-desert. He is somewhere far north of Johannesburg, somewhere en route to Namibia in fact, and a long way from suburbia. In front of him, what seems like a small army of beetles is crossing his path. There are so many of them that they are, quite literally, filling the entire width of the road. The sun overhead is beating down viciously and the tar is melting in the heat. The beetles are uncountable. He steps forward and as one they immediately stop moving. Among them there seems to be a collective consciousness of his presence: as he moves forward, they stop; as he stops, so they move forward once more. He knows he could step into them to keep moving forward on his journey, crunching them underfoot in the process, but the soles of his boots are unwilling. He cannot move forward right now to the nothingness he was hitching towards, and there is nothing immediately behind him that he wants to return to. He stands there, paralysed, for what seems like hours while the unseen stars overhead continue in their indifferent orbits and directly in front of him the army of beetles continues to cross the road. He does not want to kill any of them; he does not want to feel them crunched underfoot. And so he stays there for those long, uncounted moments – maybe minutes, maybe an hour or more. He is there because it is school holidays and his father, once again, has flung him out of home with a little money in his pocket and an injunction to go and hitch hike around the country. Be a man! Have some adventures! Be a man. Go. Get out. And here he stands, watching this army of beetles in the middle of nowhere, possibly the only person under this southern sun to be witnessing this weird phenomenon. What does it mean and why – amid all the pain – does he still manage to feel a strange, reluctant sense of peace; a oneness with the universe as he stands here, temporarily paralysed, unwillingly halted? He is sixteen years old. He wants to be at home. Above all else, he wants his mother. Author’s commentary: What does it mean? The mystery of the boy’s presence at the exact moment of the beetles’ crossing is not for me to answer, although I can (and do) surmise. Below is some interesting research about the symbolism of beetles, including from the dim early history of man as a spiritual creature. The god Khepri, which literally means “He who is Coming into Being”, was a creator god and a solar deity. 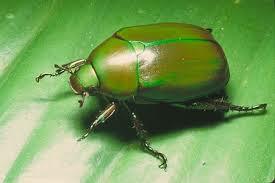 He was represented as a scarab or dung beetle, or as a man with a beetle head. …For the ancient Egyptians the common scarab beetle, Scarabaeus sacer, was a daily reminder of KHEPRI, the manifestation of the sun god RE in the early morning. Khepri’s job was to help the rising Sun journey across the sky each day, and he is often portrayed as a beetle rolling the Sun in front of him. The Egyptians noticed that the scarab beetles rolled balls of dung along the ground, and they saw this as an analogy for the Sun moving across the sky. …For thousands of years scarab AMULETS were carved in Egypt. 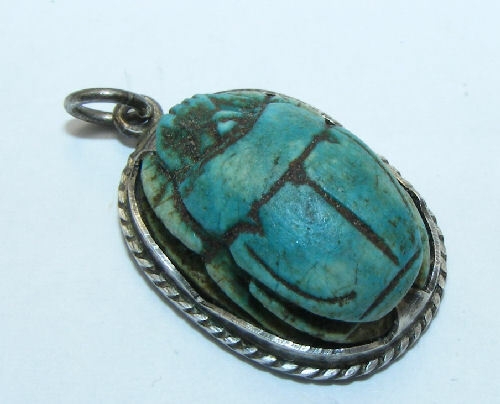 It was believed that wearing a scarab amulet brought protection and a long life. It was actually a pun, for the word kheper in hieroglyphs means both “scarab” and “to exist”. 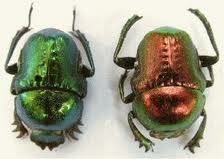 The scarab beetle was the most important amulet* worn by ancient Egyptians. It was symbolically as sacred to the Egyptians as the cross is to Christians. *An amulet was worn to protect the wearer against evil and was worn on a chain, cord, or strap. 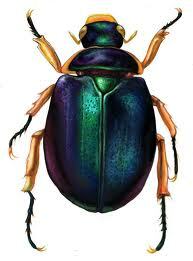 The Egyptians believed that Scarabs were associated with the Egyptian god, Khepri. It was Khepri that pushed the sun across the sky, just like a Scarab beetle would roll a ball of dung. The scarab beetle became an ancient Egyptian symbol for rebirth, the ability to be reborn. Each day the sun disappeared, always to rise again and be reborn the following day. 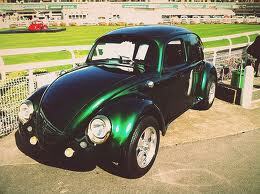 Beetle.– Beetle is a being of peace, wishing nothing more than to live at one with nature and the world. Metamorphosis, resurrection, past lives, rebirth of the soul, innocence of purpose. Beetle signals a confirmation we are on the right track and we should pursue our goals. .Some beetles are good omens and some beetles are bad omens. You need to learn which ones mean what in your area by studying their behavior and what occurs after you see one. Some beetles are messengers of good and bad weather. In some cases, beetles have devastated acres of trees, but they symbolically warned everyone before the attack. …The Father of Meaningful Coincidences, which he called Synchronicity: An Acausal Connecting Principle, was the great Swiss psychiatrist, Carl G. Jung. Jung articulated his concept of synchronicity after many years of study and reflection based on experiences with patients in psychotherapy and conversations with astrophysicists Albert Einstein and Professor Wolfgang Pauli. By saying that coincidences were “acausal” Jung meant that they could not be accounted for or explained in purely physical or material cause and effect terms, but that nonetheless they had a meaningful connection or link to reality itself. In other words they are not just mere coincidence or happenstance. The universe participates in the human quest for meaning. Jung said that synchronicity indicates that coincidences are “more than chance, less than causality”, a “confluence of events in a numinous or awesome atmosphere.” Moreover, he became convinced that these synchronicities arose during points of crisis in people’s lives and contained insights for future growth and development. The woman, who was highly educated and intelligent, had been resisting dealing with her feelings and emotions. She was very adept at rationalisation and intellectualising. After the scary scarab experience she was able to get to the root of her emotional problems and to make real progress in her growth toward wholeness. The universe had somehow cooperated in her therapy by giving her a meaningful coincidence. 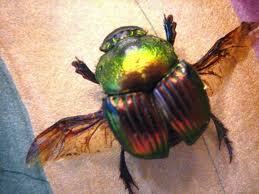 The scarab that tapped on Jung’s window was no ordinary bug. It was somewhat rare in those parts. It has, as one writer notes, “perennially symbolised transformation and metamorphosis, the very things that this woman’s unconscious was calling out for. It was as if the struggle in her soul had been projected like a powerful movie image into the outer world” and the universe responded accordingly. …find your own meaning. The universe will assist you if your quest includes the heart as well as the head. Examine the course of your own life and see where seemingly meaningless chance turned into meaningful coincidence right before your eyes. Don’t be satisfied with stories, how things have gone with others. Unfold your own myth. 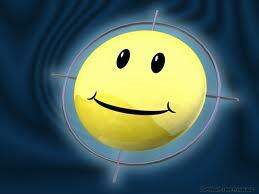 Integrate wonder back into your life. Let’s not forget where the ‘us’ began. From the Other side I have Shadowed many different people down the long years. Most of my Subjects were defined as good, although a few were labelled evil; some were ordinary and others again reckoned great in the eyes of their fellows. Some died young and beautiful, and at other times I watched an ageing, wrinkled face and longed once more for the freedom of the Pool. I have been – fortunately – truly skeletal only once, and in the process of reflecting decay, I hid myself in the outermost planes before the clean bones came, and finally the blessed release handed down by the Law. I spent many ages after this particular episode in the Pool; it is understood by all that the cleansing, healing process is especially necessary after such a Shadowing. We are the Kyrië. We are born with you and it is our task to Shadow your lives, although we do not die. We live on the Other side of the mirror, where humans do not dream of another dimension touching planes with earth wherever man and nature create copies. For any human on the earth at a given time, there is a corresponding Kyrian, with a surplus of our brethren quiescent in the Pool of Shadows. This is where we go when the physical entity we have been Shadowing relinquishes its spirit. We rest there, and ponder, growing more knowledgeable with the centuries and with each successive Imaging. We are rational and calm beings. We strive to avoid the tangled emotions of humanity, preferring the role of passionless observers. To be sure, there is an element of discomfort in Shadowing a dead subject before burial or cremation. Without the mercy of prompt disposal rites, the Kyrian must sometimes Reflect, should the Dimensions be touching at the time, decay in itself until the release brought by fire or earth, or the peaceful surrender to water. We do not mind water. It is the quietest end; fittingly circular. I said as much to the Leader one day. I was between Images and took the opportunity to benefit from his wisdom. I ended a little doubtfully; one is humbled by the Leader’s great age and tranquil wisdom. He looked at me with, I thought, an unusual expression that almost passed for surprise. I was silent a while, sensing a mild rebuke. “Can not – or May not?” I ventured boldly. He shifted slightly and his aura changed. The Leader’s face took on a forbidding expression and the rainbow covering in which he had garbed himself gave out deep grey and purple hues. If I had been human, I thought fleetingly, I think I would have been what they called Afraid. Then he closed his mind to me and left me in the Pool with those who did not ask my questions. ‘Kyrie Eleison’ means ‘Lord have mercy’ in Greek, and while I was on the road alone and listening to a song that I really loved, the seeds of the Kyrië story were born. You can get the lyrics here and see them perform in this clip.